I started off my research career at Monash University, Victoria, by exploring the relationship between tooth wear in kangaroos and their capacity to masticate their tough grassy diet during my BSc Honours (1983) year. The variation in wear that I found between populations of kangaroos suggested an important link between how individuals cope with the diet they confront, how this varies with geography, and thus how populations may differ as a result of variation in individual characteristics. I stayed on at Monash for my PhD (1984 - 1988), investigating how tannins in eucalypt leaves affect digestion in ringtail possums. Eucalypt are notoriously low in protein anyway, so if tannins suppressed protein digestion, it could have serious implication for those that eat them. 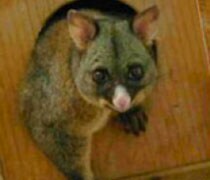 Ringtail possums, along with koalas, greater gliders and brushtail possums, are one of the few mammalian herbivores that do. This early work suggested that tannins pose fewer problems to ringtails than to many other herbivores, presumably as a result of strong selective pressure from the fairly unique Australian eucalypt characteristics. I spent the next two years in the United States (1988 - 1990) on an NSF funded project with biochemist Ann E Hagerman, and wildlife biologists Charlie T Robbins and Tom Hanley. Here I was working on the influence of plant secondary chemistry on feeding in deer. This included running feeding preference trials with mule deer in Washington State and with Sitka black-tailed deer in Alaska. We were interested in bringing non-tannin phenolics into the ecological picture. In contrast to tannins, these small compounds are more likely to act as toxins to herbivores. By testing feeding preferences of deer offered a range of plants, we were able to show that deer chose the best plants – those which either maximised digestibility or minimised the non-tannin phenolic load. They never chose the plants with lowest digestibility and highest toxic load. This research highlighted the role and importance of these phenolics in the foraging ecology of browsers (consumers of woody plants). 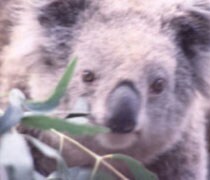 I spent several years as a post-doc back at Monash (1991 - 1994), further exploring how marsupial herbivores cope with leaf tannins. This included a detailed study of the saliva of a range of species, from possums to wombats to kangaroos. Salivary protein seems to be the first line of defence for many herbivores. 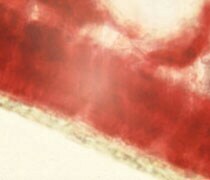 It is extremely efficient at binding dietary tannins and so leaves the dietary protein free to be digested. 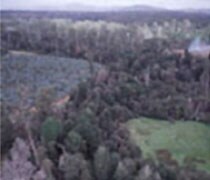 For nine years (1995 - 2003) I was based in the School of Zoology, University of Tasmania, applying my understanding of foraging to the problem of browsing of tree seedlings in plantation forestry. During much of this period, I also managed the Resource Protection Program within the Cooperative Research Centre for (Temperate Hardwood and then Sustainable Production) Forestry. By investigating the fundamental principles of foraging ecology to an applied problem, my research group has been able to discover several ways in which browsing damage can be reduced. Since 2004 I have been at the University of Sydney. Research in my lab focuses on, but is not confined to, delving into the fascinating ecology of mammalian herbivores – how they interact with the plants they eat and with the predators that want to eat them. We explore the influence of the environment on plants and their chemical and structural defences against herbivores; and how herbivores forage in response to the dual costs associated with consuming plants and avoiding predators. I am a behavioural ecologist recognised for my expertise in empirical research on the foraging ecology of mammalian herbivores. My research addresses the fundamental question of how animals forage; a central ecological theme because food fuels animal fitness. I pioneered a new understanding of how the physiological constraints from plant secondary metabolites causes changes to the behaviour of herbivores in space and time. 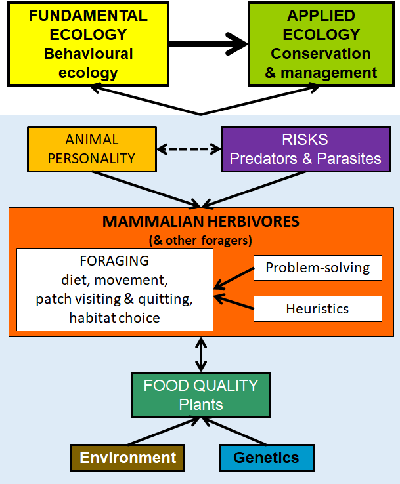 My interdisciplinary research links plant-herbivore and predator-prey concepts to understand behavioural responses of foraging herbivores to the dual constraints of food and fear. In my lab, we explore foraging at all stages of the process: from whether, how and why animals visit food patches, to how long they stay, and why they quit. This involves not only the ultimate drivers of foraging relating to risks and rewards, but also the proximate drivers such as the heuristics of decision-making, and the problem-solving capacity of foragers. the ecological consequences of animal personality on foraging. All my fundamental research can be applied to improving conservation and management through understanding and manipulating the behaviours underpinning ecological processes. I lead a diverse lab with wonderful students who, over the years, have come from around the world: Australia, USA, Ski Lanka, Argentina, Italy, Venezuela, and France. We study a range of species, including possums, wallabies, koalas and wombats; and with international collaborators, elephants and deer. Plants can’t run (although they can sometimes hide). Instead, they have an array of physical and chemical characteristics that make it difficult for animals to eat them. How do mammalian herbivores deal with these plant characteristics? Do generalists (e.g. brushtail possums) view the plant world the same way as specialists (e.g. koalas)? What behavioural or physiological tricks do they use to get around the problems of eating plants? 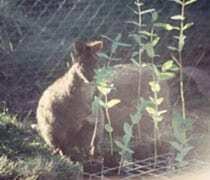 Do mammals exert selective pressure on plants or are they just coping with the responses of plants to other factors, such as shade, wind or insects? 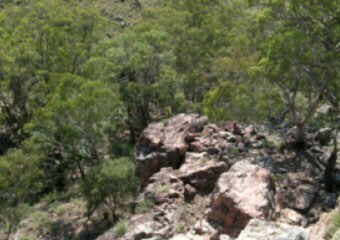 Vegetation is patchy at a range of spatial scales. The home range of many animals encompasses one or more of these scales of patchiness. This means they can choose to spend more time in some areas than others. The variation in food quality within this environment varies, so that animals can also select amongst food patches and decide how long to spend feeding at each. How do natural plant toxins affect foraging behaviour within the landscape? How does size, complexity and spacing of vegetation patches affect foraging by specialist or generalist herbivores? 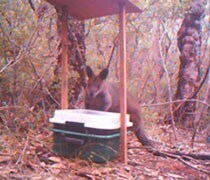 How do macropods use the landscape when foraging? What habitats do they prefer to feed or rest in? Does the size of their home range reflect the size and quality of vegetation patches in the landscape? Do sympatric herbivores partition their temporal or spatial use of the landscape or the food within it? How? Predators represent a third trophic level, complicating the interactions between plant-eaters and their food. How do plant-eaters balance the costs of foraging for food in a landscape of fear? How do predators – or the risk of predators - modify foraging behaviour of plant-eaters? 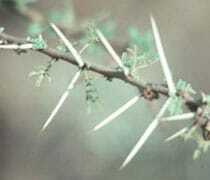 Can fear act as a plant defence? The landscape is rapidly changing and this alters the capacity of different species to survive within it. 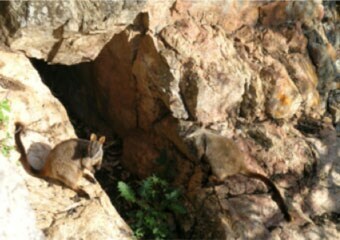 How dependent are brush-tailed rock wallabies on rocks as refuge in a modified landscape? I am interested in showing you the fantastic world of biology and our place in it. My approach to teaching is to treat biology as a vocation. I want to introduce you to the skills and information you’ll need to be a biologist, as well as to general skills you could use if you go on to use biology as the basis for another career. Biology is not about learning a bunch of facts that others have generated – it's about weaving current knowledge into your own research to explore the living world. It’s about asking exciting research questions and going out and getting the answers; extending both the depth and breadth of our understanding. Orlando C Gabriel (current) Decision-making by foraging mammalian herbivores at small spatial and temporal scales. Associatesupervisor PB Banks. Wat Ka Yan Katie (current) Relationship between personality and animal movement in and use of habitat. Associate supervisor PB Banks. 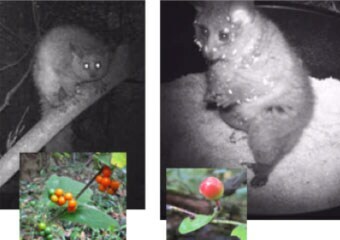 Herath Anushika (current) Influence of animal personality on diet and parasite load of a folivore, the common brushtail possum. The University of Sydney, NSW. Associate supervisors PB Banks. Stutz Rebecca (2016) Associational plant refuges in a matrix of abundant herbivores. The University of Sydney, NSW. Associate supervisor PB Banks. 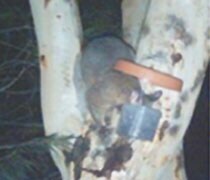 Mella Valentina SA (2014) The role of food quality, predation and personality in foraging by brushtail possums. The University of Sydney, NSW. Associate supervisor PB Banks. Bedoya-Perez Miguel (2013) Foraging responses of swamp wallabies (Wallabia bicolor) to plant chemistry, vegetation composition and diversity. The University of Sydney, NSW. Associate supervisor PB Banks. Hawkins Jason (2015) Foraging in a landscape of food and fear: Insights into space use from an environmental and individual perspective. Associatesupervisor PB Banks. Sunderasan Lakshmi (2014) Possums, problems and personality: How do individuals respond to novel situations and challenges in their environment?. Associatesupervisor PB Banks. Krucler Jordan (2013) Quantifying ecologically relevant personality traits & their link to movement patterns in wild common brushtail possums (Trichosurus vulpecula). Associate supervisor PB Banks. Applying foraging ecology to reduce human-elephant conflict in Sumatra; McArthur C; Sydney Southeast Asia Centre/Cluster Research Grant. Herbivore foraging as a function of personality; McArthur C; DVC Research/Bridging Support Grant. 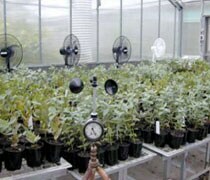 Abiotic influences on plants; McArthur C; DVC Research/Bridging Support Grant. Comparing the chemistry of plants; McArthur C; University of Sydney/Bridging Support. From leaf to landscape: An exploration of the diet of the brush-tailed rock-wallaby (Petrogale pinicillata); McArthur C; Department of Environment and Conservation (NSW)/Research Grants. Foraging efficiency: quantifying the cost of plant toxins to herbivores in spatially heterogeneous environments; McArthur C; University of Sydney/Early Career Researcher. Potential for resource competition between brush-tailed rock-wallabies and sympatric macropods; McArthur C, Crowther M, Tuft; Department of Environment and Conservation (NSW)/Research Grants. Energy from wind and water: a neglected but significant influence on herbivory in ecosystems; McArthur C, Pile A; University of Sydney/Research & Development. Upgrade of Infrared Analytical Facility; McArthur C, Vaillancourt R, Mendham N, Lane P, Reid J, Haddad P, Sparrow L, Zhou M, Potts B; Australian Research Council (ARC)/Linkage Infrastructure, Equipment and Facilities (LIEF). Understanding and manipulating stress physiology of eucalypt seedlings to improve survival and growth; McArthur C, Close D, Brown P, Hovenden M, Beadle C, Holz G, Hagerman A; Australian Research Council (ARC)/Linkage Projects (LP). Manipulating vegetation and seedling quality to reduce browsing damage in plantation forestry; McArthur C, Smethurst P; Forests and Forest Industry Council of Tasmania/Grant. Demonstration and farm surveys of eucalypt seedling tolerance to native animal browsing; McArthur C, Close D; Natural Heritage Trust/Projects. Use of lupins in reducing browsing damage to seedlings in plantation forestry; McArthur C, Barnes C, Smethurst P, Pietrzykowski E; CRC for Sustainable Production Forestry/Strategic Initiatives Fund. O'Reilly-Wapstra, J., Bailey, J., McArthur, C., Potts, B. (2010). Genetic- and chemical-based resistance to two mammalian herbivores varies across the geographic range of Eucalyptus globulus. Evolutionary Ecology Research, 12, 491-505. Le Mar, K., McArthur, C. (2005). Habitat selection by common brushtail possums in a patchy eucalypt-forestry environment. Australian Mammalogy, 27(2), 119-127.
le Mar, K., McArthur, C., Statham, M. (2003). Home ranges of sympatric red-necked wallabies, red-bellied pademelons and common brushtail possums in a temperate eucalypt forestry environment. Australian Mammalogy, 25(2), 183-191.
le Mar, K., McArthur, C. (2003). Location of 1080-poisoned marsupial herbivore carcasses in relation to their home ranges. Tasforests, 14, 131-135. Sprent, J., McArthur, C. (2002). Diet and diet selection of two species in the macropodid browser-grazer continuum - do they eat what they "should"? Australian Journal of Zoology, 50(2), 183-192.
le Mar, K., McArthur, C. (2001). Changes in marsupial herbivore densities in relation to a forestry 1080-poisoning operation. Australian Forestry, 64, 175-180.
le Mar, K., Southwell, C., McArthur, C. (2001). Evaluation of line transect sampling to estimate nocturnal densities of macropods in open and closed habitats. Wildlife Research, 28, 9-16.